Apple Madness - Crazy about Apple(s)! – As usual in the past decade, if I recall it well, 1280X1024. No plans for HD or 3D or anything like that in the foreseeable future. – During 2013, this blog will get at least one post each week. It deserves this. People who end up here from Google deserve this. I deserve this, I know I can deliver and I will deliver useful stuff to this whole rat salad that is the World Wide Web. – No Apocalypse during 2013!!! – I will spend a lot of time with my kid. She’s gorgeous. No posts about her yet? There will be, at least one or two. Sometimes, you have to keep some things personal. Exposing them could ruin the whole experience. – Be more alive, healthier and less annoying than before. A really tough task, but I can do it. I am doing it already. I surely missed something, but that’s most of it. Concerning this blog, I only want to make it as I always wanted it – updated on a frequent basis with interesting content. Drop a comment below if you got any ideas. P.S. Would anyone be interested in my services regarding WordPress setup/tweaking & then some? 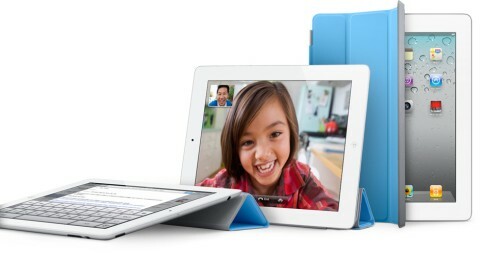 iPad 2 - Evil or Divine? 1. Display problems – I always loved Apple’s displays, especially the ones they used with the iMacs and I must admit that, no matter the device we’re talking about (iPhone, iPod, iPad included), the giant from Cupertino gives its competitors something to think about. Unfortunately, quite a few iPad 2 users noticed bleeding screen edges and, unfortunately, this isn’t something that could be solved with a software update, one day. 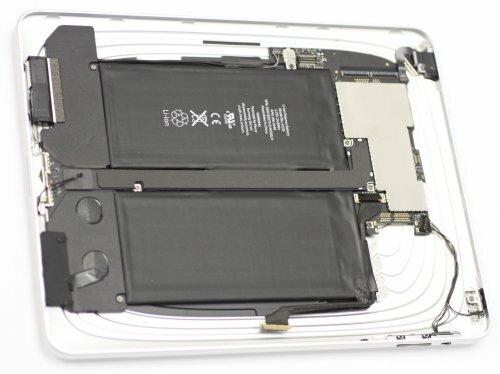 More than the bleeding, some users also noticed discoloration of their displays on arrival, but this is a minor proble, since it seems to be caused by the fact that iPads are shipped so quickly after being manufactured, that the bonding glue used in the display doesn’t dry in time. 2. Wireless signal issues – For now, this seems like a hardware problem, since the devices that have been reported to drop connections have the latest iOS version installed. For most original iPad owners, firmware fixes managed to solve the problem, so I guess this will fade away in time for iPad 2 users, too… or maybe not, if it’s a more serious hardware issue. 3. Poor cameras – While the original iPad had no camera and a lot of people bashed it for that, the iPad 2 comes with two cameras, the main camera delivering HD video recording, but only 960X720 still images (less than 1 MP!). No need to talk about the front camera – the idea is that both of them provide lower resolutions than most smartphones currently on the market. 4. This may be more of a marketing problem and it’s surely not something only encountered here but, as it happens with all Apple products, accessories for the iPad 2 are really expensive. 2. Contacts lost – I’ve seen a few user reports here and there claiming that the restore function doesn’t work as it should, so lost contacts remain lost. Whoops once again! 3. Random freezes – This really feels like my Android 2.2 Chinese tablet, only that I didn’t pay $500 for it… so, since more than just a few people report this kind of problem, there must be something wrong, maybe a combination of overheating and software instability, can’t tell for sure. 2. No internal USB and HDMI – It can surely be done without breaking a sweat, but why not sell expensive adapters, after all? No matter what some people say, it seems Apple is still struggling to meet demand for the iPad 2 and that says it all – despite all its problems, this gadget is quite a hit. On the other hand, Android-powered tablets are getting better and better with each month and there are hundreds, maybe thousands of different models to choose from. Sure, some of them are really cheap from all points of view, but there are quite a few to make you think twice when deciding to go for an iPad 2. These being said, I would only like to ask you a simple question – if you got an iPad (first or second generation, doesn’t really matter), what do you think about it and the problems that you encountered with yours? 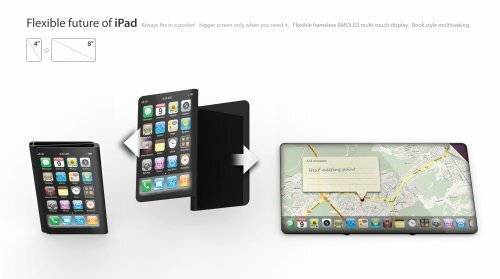 Will you get an iPad 3 or 4 when they come out? Until we get to the iPad problems, let me start with something else, because I’ve been “cooking” this article for almost three weeks now, and while I could find a lot of excuses for this delay, I won’t say anything in my defense. After all, nobody pays me to write on this blog, and when I do it, I want to deliver my best. The thoughts troubling me are related to Apple, but not exactly to the iPad. I was wondering… if Steve Jobs’ company comes up one day with a brick bearing the notorious logo, how many items would be sold? Considering the above, you could say now I’ll bash the iPad and nothing more, but I’ll try to avoid doing that – I used Apple computers and I loved some parts,I hated others; I don’t use an iPod, because I found better value for my money; at last, I even found something better than the iPhone, and that’s all about it. Now, let’s move to those iPad problems, shall we? Even in the United States, the iPad is priced at the same level as most low-end laptops. Yes, I said laptops, not netbooks! To make this even more interesting, in Europe, the iPad’s price climbs to the same value as mid-range laptops (the 32GB variant, for example, is sold at almost $1000 in some countries!). Oh, yeah, if we think about the Wi-Fi+3G versions… you can also add the 3G data plan’s costs (any AT&T fans around?)! As I write this, the US prices of the whole iPad line are these (16/32/64GB, Wi-Fi/Wi-Fi+3G): $499/$629, $599/$729, and $699/$829. Ouch! Here’s something that I would have used as a reason to bash the iPad two weeks ago. In the meantime, I came to my senses – ALL the browser crashes that I remember, no matter if we’re talking about Chrome, Opera, Firefox or another one, were caused by some Flash page, and I don’t have to tell you how high can get the CPU usage of a browser when accessing a Flash page! Sure, Flash pages may be fun, useful, a few years away from others in terms of design, but… I think the iPad can do just fine without Flash. Really, HTML5 is just around the corner,so why bother with Flash on the iPad? The good part of this little story is that Apple quietly acknowledged some of the Wi-Fi issues, but didn’t exactly help solving them, providing suggestions like “move closer to the router” being a no-brainer, if you ask me. Anyway, if you have Wi-Fi problems with your iPad and want to get up to date information about possible solutions, you should check this support article. Good luck! Later Edit: It seems the iPhone will soon get a lot of goodies in a software update, and the iPad will follow. As I write this, you can only multitask using the applications included in the OS, but not additional ones available in the App Store. Please correct me if I’m wrong! No USB, no HDMI, no chance to add them later thanks to a software update. Enough said about it, I think. The virtual keyboard may be cool, but you won’t get to bloggers’ Heaven with the iPad, and that should be pretty obvious, I think. On the other hand, if you just need to surf the Web and you don’t need to engage in a lot of typing, I am sure this little issue won’t bother you at all. Even more, I don’t think 1024X768 pixels is such a great resolution, since going wide would have been a better choice, at least according to quite a few people. Anyway, looking back at my own experiences with Apple products, the screen is usually one of the strong points, so… I am anxious to hear what you think about the screen – is it an issue or not? Think about this – you have the freedom to choose whatever you like… as long as Apple also likes it, and the people behind that application went through the whole App Store approval process (it can be pretty painful, sometimes). In real life, people seem to trade freedom for a pale sense of security more and more, but what about this virtual world? Where are the terrorists? I know that Windows can be really annoying sometimes, but at least you can install whatever you want, from any source (with all the risks that come with this freedom, of course). After all, Apple is selling the iPad, not renting it!!! To be honest, I don’t see anything wrong with it, as long as Apple established a naming strategy that will remain standing for some time. The Apple car would be the iCar or iWheeler, the Apple-founded airline should be iFly or iRways (smart one, don’t you think? ), and so on… Anyway, since more than just a few people considered this a problem, I decided to add this at the bottom of my list. 1. The iPad will never reach the success of the iPhone, simply because there are more people who need a phone than those who need… the iPad, and some problems with this first version won’t be fixed with simple software updates. 2. Second/third edition of the device will surely bring in a lot of fixes, making it as good as it was supposed to be in the first place (should we have an iPhone vs iPhone 3G match some day? ), but some features will still be left out. I am sure Apple won’t add a memory card slot, but they’ll surely add one or even two cameras. 5. Apple won’t be too happy to add HDMI/USB to the new versions. Why do that, when adapters sell pretty well (at ridiculous prices, too, I must add)? The story goes like this: in a madhouse, the doctor in charge wasn’t really happy about his patients’ behavior, so he decided to study the effect of various fruits on his patients. Once he added apples to their meals, everything became nice and quiet. He was extremely happy, and already starting to check their files once again, thinking about the day when some of them should be sent home. Unfortunately, crisis struck, and funding has been cut. Not the crisis we’re been going through lately, just some fictional crisis…you’re aware this is only a story, right? Good, let’s continue! So, no funding, less spending, and no more apples. One evening, when visiting his patients, the doctor noticed there was no light, and the light bulbs were all gone! Just as a side note, he also tried some cromotherapy, and the patients had yellow light. This surely gave our poor doctor a sleepless night, but he ended up using some red light bulbs he tried during his cromotherapy period, since red light usually gives headaches, and maybe that way his patients would become peaceful and quiet, once again. Unfortunately, there are also red apples, so it’s obvious what happened. After a few days spent thinking about what should be done, the doctor had a brilliant idea – this time, he used green light! We also need to mention that the loonies were extremely irritated by white light, so using regular light bulbs was not an option. These being said, green light bulbs have been installed, and days started going by without any incident. It’s a crisis, we must accept it. Come on, everybody knows it, but fortunately I don’t have enough money to really feel like my entire universe is going down the drain. That’s the good part of not being rich – when you got nothing to lose, then you got it all, and if we have to talk about apples, let’s ask a simple question, shall we?